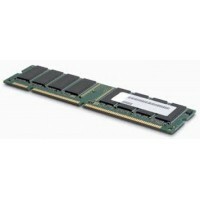 Warranty three-year (model dependent) customer-replaceable unit (CRU) and on-site limited warranty with 9x5 next business day (NBD). 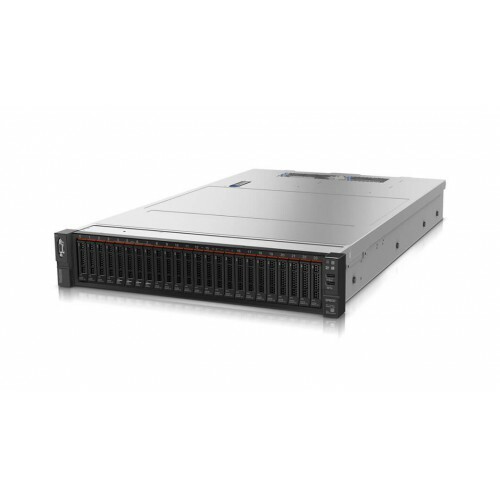 Featuring the Intel Xeon Processor Scalable Family, the SR650 server offers scalable performance, storage capacity, and I/O expansion. 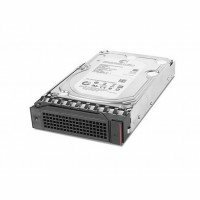 The SR650 server supports up to two processors, up to 3 TB of 2666 MHz TruDDR4 memory, up to 24x 2.5-inch or 14x 3.5-inch drive bays with an extensive choice of NVMe PCIe SSDs, SAS/SATA SSDs, and SAS/SATA HDDs, and flexible I/O expansion options with the LOM slot, the dedicated storage controller slot, and up to 6x PCIe slots. The SR650 server offers basic or advanced hardware RAID protection and a wide range of networking options, including selectable LOM, ML2, and PCIe network adapters. 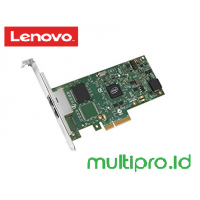 The next-generation Lenovo XClarity Controller, which is built into the SR650 server, provides advanced service processor control, monitoring, and alerting functions. 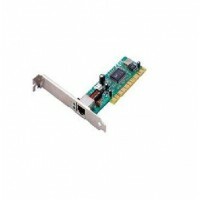 The following figure shows the ThinkSystem SR650. 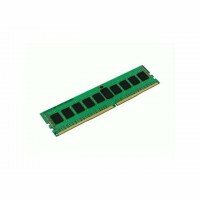 ThinkServer 8GB 2RX8 PC4-2133-U DDR4-2133 UDIMM ( 4X70G88313 )..
ThinkServer 16GB 2RX8 PC4-2133-U DDR4-2133 UDIMM ( 4X70G88314 )..
Lenovo ThinkServer TS150 3.5''1TB 7.2K Enterprise SATA 6Gbps HDD ( 4XB0G88760 )..
Lenovo ThinkServer TS150 3.5''2TB 7.2K Enterprise SATA 6Gbps HDD ( 4XB0G88764 )..
Lenovo ThinkServer TS150 3.5''4TB 7.2K Enterprise SATA 6Gbps HDD ( 4XB0G88796 )..
Lenovo ThinkServer TS150 3.5''5TB 7.2K Enterprise SATA 6Gbps HDD ( 4XB0G88797 )..
Lenovo ThinkServer TS150 3.5''6TB 7.2K Enterprise SATA 6Gbps HDD ( 4XB0G88798 )..
ThinkServer 8GB 2RX8 PC4-2133-E CL15 DDR4-2133 ECC-UDIMM(4X70G88316)..
Lenovo ThinkServer 3.5'' 1TB 7.2K SATA 6Gbps Hard Drive(4XB0G88755)..
Lenovo ThinkServer 3.5'' 2TB 7.2K SATA 6Gbps Hard Drive(4XB0G88756)..
Lenovo ThinkServer i210-T1 PCIe 1Gb 1-Port Base-T Ethernet(4XC0G88844)..
ThinkServer 16GB 2RX8 PC4-2133-E CL15 DDR4-2133 ECC-UDIMM(4X70G88317)..
Lenovo ThinkServer Gen 5 3.5" 1TB 7.2K Enterprise SATA 6Gbps Hot Swap Hard Drive ( 4XB0F28712 )..
Lenovo ThinkServer Gen 5 3.5" 2TB 7.2K Enterprise SATA 6Gbps Hot Swap Hard Drive ( 4XB0F28713 )..
Lenovo ThinkServer i350-T2 PCIe 1Gb 2-Port Base-T Ethernet(4XC0F28730)..
ThinkServer 8GB 2RX8 PC4-2133-E CL15 DDR4-2133 ECC-UDIMM For 1P (4X70G88331)..
ThinkServer 16GB 2RX8 PC4-2133-E CL15 DDR4-2133 ECC-UDIMM For 1P (4X70G88331)..